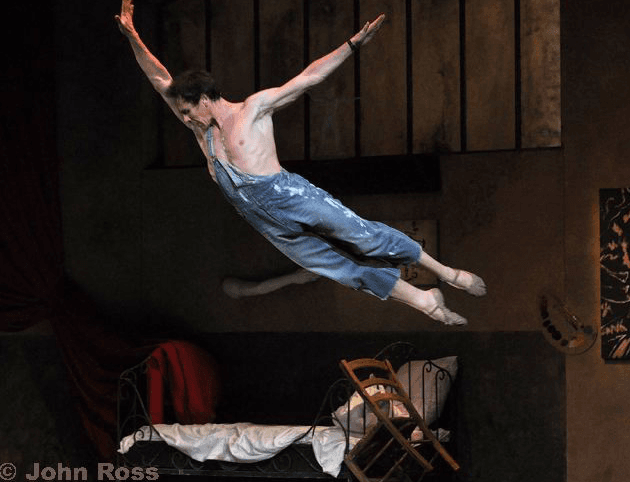 Onéguine by John Cranko February 3rd to March 5th, Palais Garnier Based on Alexander Pushkin’s verse novel, John Cranko streamlined the storyline and centered the action on the feelings of its four principal characters. Thwarted loves, duels and regrets punctuate the tale of the disillusioned dandy Onegin, the romantic Tatiana, the poet Lensky and his fiancée Olga. Created in 1965 for the Stuttgart Ballet, the work entered the repertoire of the Paris Opera Ballet in 2009. Cullberg/De Mille Mademoiselle Julie by Birgit Cullberg Fall River Legend by Agnes de Mille 21 février au 13 mars 2014, Palais Garnier "In 1945, the American choreographer, Agnes de Mille created Fall River Legend based on a news story. The piece explores the tragic destiny of Lizzie Borden, who was suspected of having killed her father and her stepmother, she depicts the torments and sufferings of a character who is both victim and executioner. In 1950, the Swedish choreographer, Birget Cullberg, inspired by the work of August Strindberg, created Miss Julie. Evoking disdain and humiliation, seduction and repulsion, Cullberg stages a cruel huit-clos between an aristocratic young woman and her valet." Those two ballets are a good representation of the post-war period modern dance. Orphée et Eurydice by Pina Bausch May 3rd to May 21st, Palais Garnier "Orphée et Eurydice is one of Pina Bausch’s major works. The choreographer brings flesh and blood to Gluck’s score, while opting to distance herself from the work’s happy ending. Having descended into the Underworld to look for his loved-one, Orpheus fails to bring Eurydice back from the dead and watches her disappear forever. The ballet evokes despair, grief and the fragility of the human condition. It was added to the repertoire of the Paris Opera Ballet in 2005. Each of the main roles is split in two, creating a permanent dialogue between song and dance." Ticket sales start February 3rd Balanchine/Millepieds May 10th to June 8th, Opéra Bastille Daphnis et Chloé by Benjamin Millepied Palais de Cristal by George Balanchine "George Balanchine is regarded as the foremost contemporary choreographer in the world of ballet. In 1947, George Balanchine paid tribute to the company and to the French tradition with his first production for the Paris Opera Ballet, Le Palais de Cristal, in which he choreographed an early work by Georges Bizet, the Symphony in C. Characterised by its architectural design and sense of dialogue with the music, this ballet is a model of academic virtuosity, to which the designer Christian Lacroix has brought new shape. Benjamin Millepied's third creation for the Paris Opera Ballet, in collaboration with the conceptual artist Daniel Buren, revisits the myth of Daphnis and Chloé. In the tradition of Balanchine, Millepied draws his inspiration from the rhythms and colours of Ravel's "choreographic symphony" for chorus and orchestra. Accompanying the dancers of the Paris Opera Ballet for the first time, Philippe Jordan conducts these masterpieces of French music." Ticket sales start February 3rd Robbins/Ratmansky June 19th to July 7th, Palais Garnier Dances at a gathering by Jerome Robbins Psyché by Alexei Ratmansky Two ballets from very different worlds! "Created in 1969, "Dances at a Gathering" brings together five pairs of dancers who meet, pass and intermingle to the rhythm of Chopin's waltzes and mazurkas for piano. The precise choreography seems to spring from the music itself and creates a romantic atmosphere tinged with nostalgia. 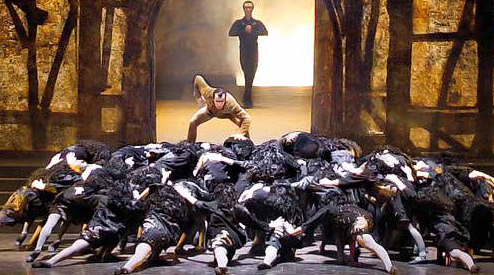 In "Psyché" (2011), Alexei Ratmansky revisits the realm of the supernatural and plunges into the enchanting world of Apuleius' tale. Drawing inspiration from the symphonic poem for orchestra and chorus by César Franck, he has created a work of profound lyricism and, with the complicity of the painter and installation artist, Karen Kilimnik, he unveils a dreamlike world that lends itself to reverie." Ticket sales start February 3rd Notre-Dame de Paris de Roland Petit June 30th to July 16th, Opéra Bastille "Notre Dame de Paris" was created in 1965 by Roland Petit. With his highly developed sense of theatricality and his taste for dramatic stories, Roland Petit took up Victor Hugo's classic masterpiece: around the four principal characters, Quasimodo, Esmeralda, Frollo and Phoebus, a tragic story of love and death is played out, in which beauty rubs shoulders with the grotesque, and humanity and innocence come up against hatred and jealousy. The costume's are from Yves Saint Laurent and the music by Maurice Jarre. Ticket sales start February 3rd Farewell to Nicolas Le Riche Unique night July 9th, Palais Garnier The Paris Opera celebrates Nicolas Le Riche and honors his departure. The program has not been announced yet.